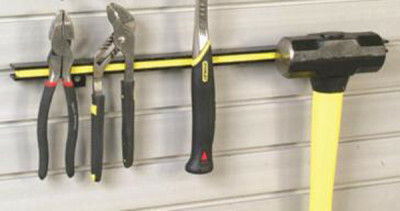 The Magnetic Tool Bars – Black Polished Steel with yellow tape – are a great way to keep tools neat, organized and easy to find. Strong magnets will hold all your metal tools, including hammers, above your work bench, in the hobby room, or on your garage slatwall panels. Slot in wall panel needs to go straight in and straight up. Will even hold all the knives in your kitchen. 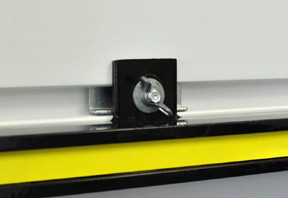 Comes with 2 Heavy Duty Slatwall Adapters to attach bar to slatwall panels. 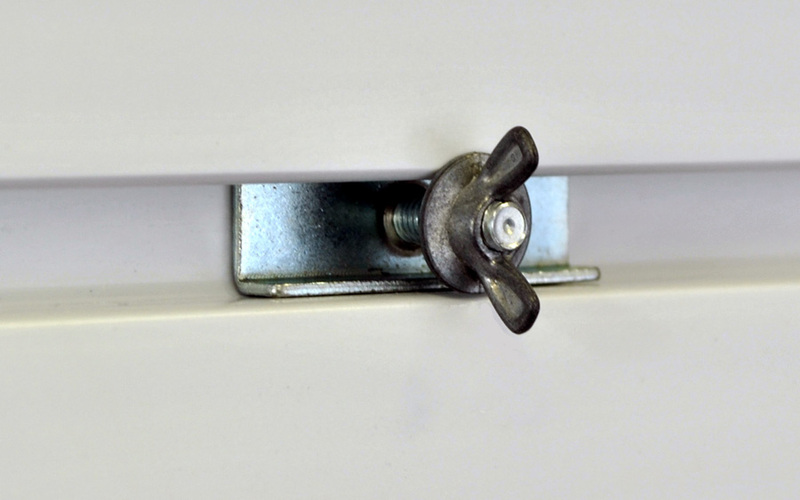 See picture for fastening locks to panel and Bar. 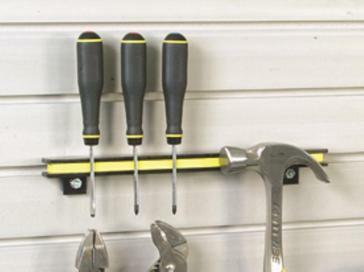 These adapters may not work on slatwall panels with the metal inserts. 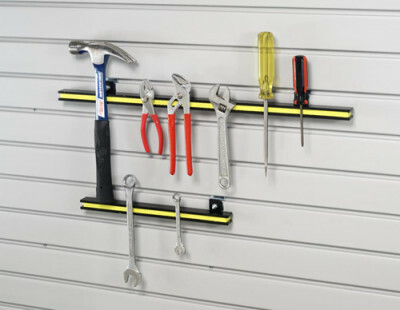 Can be mounted directly to drywall or studs.